These examples demonstrate the use of the Reactor program. The purpose is to show how to run the react command and explain some of its command line options. 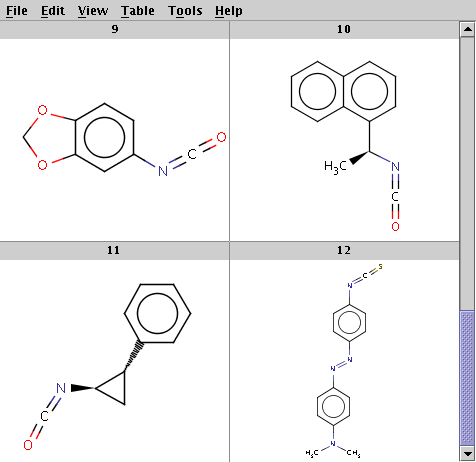 For a description of reaction rules and mapping, see the Reaction rules and Reaction mapping sections of the Reactor Manual. 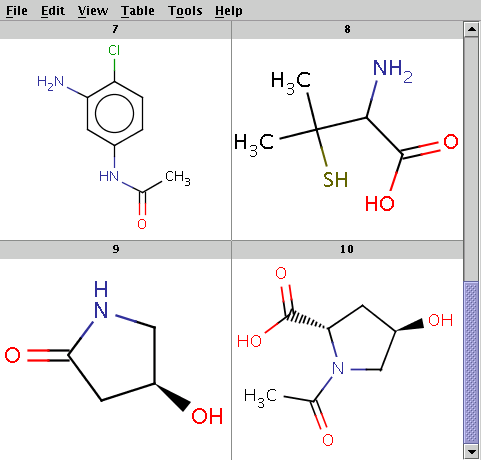 Reaction rule working examples showing more complex combinations of the reactivity, exclude, and selectivity rules are also available. These examples run the react UNIX shell script under UNIX / Linux or the react.bat batch file under Windows. The Java Virtual Machine version 1.4 or higher and JChem have to be installed on your system. The PATH environment variable has to be set as described in the Preparing and Running JChem's Batch Files and Shell Scripts manual. A command shell (under UNIX / Linux: your favorite shell, under Windows: a Cygwin shell or a Command Prompt) has to be run in the reactor example directory. These examples demonstrate simple reaction processing with different combinations of the most popular command line options. The reaction file is reaction.rxn and the two reactants are stored in reactant1.mol and reactant2.mol. Note, that multiple product indexes can also be specified by an index list separated by commas, without spaces (e.g. select the first and the third from a 3-product reaction by: -x 1,3). which includes our two original reactants. 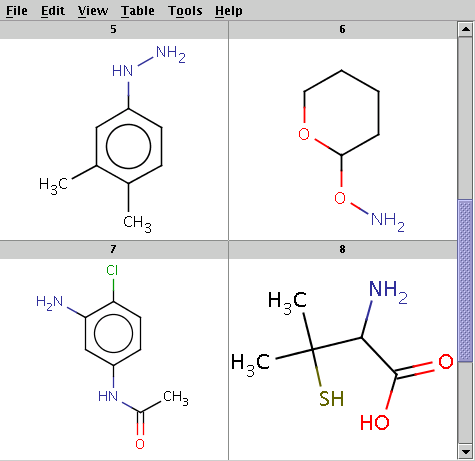 These examples demonstrate reaction processing on multiple reactants: a molecule file with possibly more than one molecule structures is specified in place of each reaction reactant. 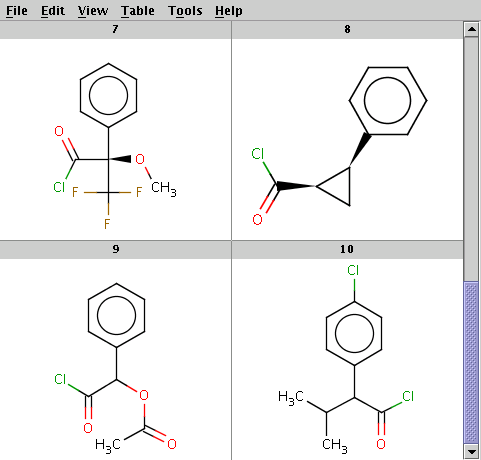 Reactor can process multiple reactants in two modes, sequential or combinatorial (default: sequential). 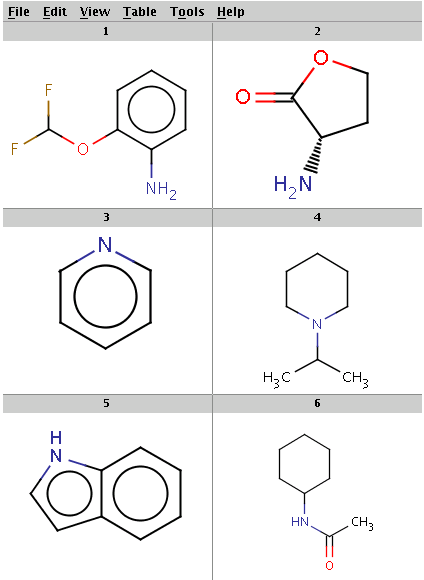 In the examples below, the first reactant filereactant1.smiles contains 2 molecules and the second reactant file reactant2.smiles contains 3 molecules. 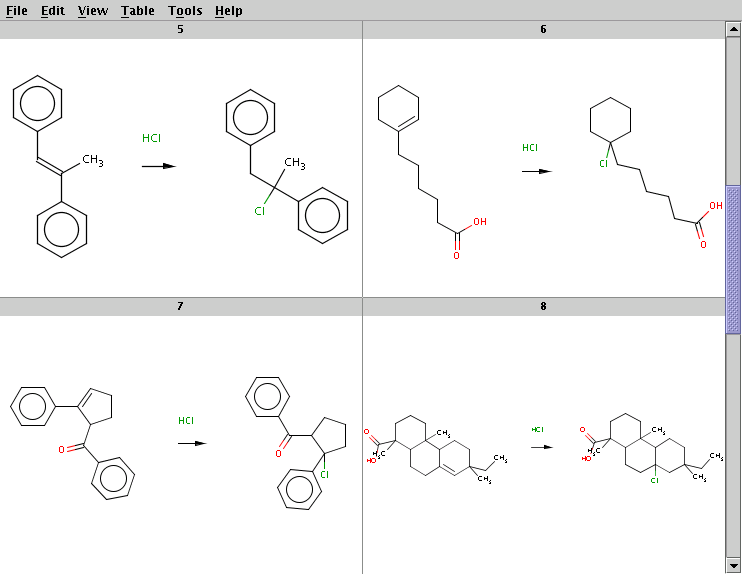 Note, that the last (second) molecule in the first reactant file reactant1.smiles is repeatedly paired with both the second and the third molecule in the second reactant filereactant2.smiles since the first reactant file contains less molecules than the second reactant file. 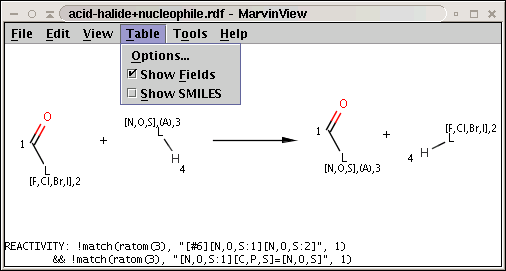 Note, that there are 2*3=6 reactions, since all reactant pairs are processed with the first reactant taken from reactant1.smiles and the second from reactant2.smiles. These examples show how to specify a reactivity rule on reactants and/or products: reaction products accepted only if the reactivity rule is satisfied. 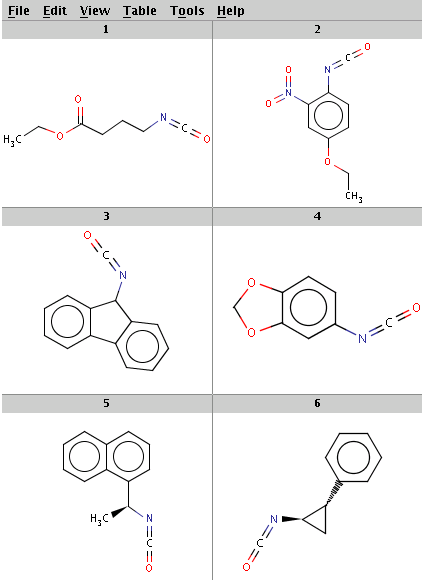 Rules are defined aschemical terms and evaluated by the Chemical Terms Evaluator. See the Reaction rules section of the Reactor Manual for the syntax of these rules. 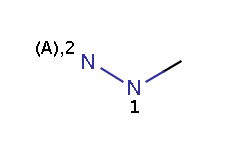 The reactivity rule in this example is defined in an RDF tag of the reaction file and describes amine-type nitrogens: a N atom is taken as an amine-type nitrogen if and only if it is either an amine or a hydrazine(N2) but not a hydrazine(N1) and not an amide. 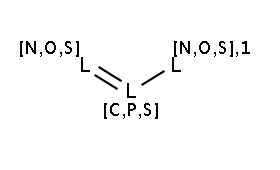 Look at the amines: The first and the second amine satisfy the condition, the next two are not attached to a hydrogen therefore do not satisfy the reaction equation itself, the remaining two do not satisfy the reactivity rule above. 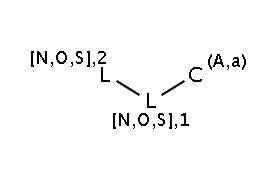 In the examples below, Reactor is run with multiple reactants in sequential mode: the first amine is paired with the first isocyanate, then the second amine with the second isocyanate, and so on. 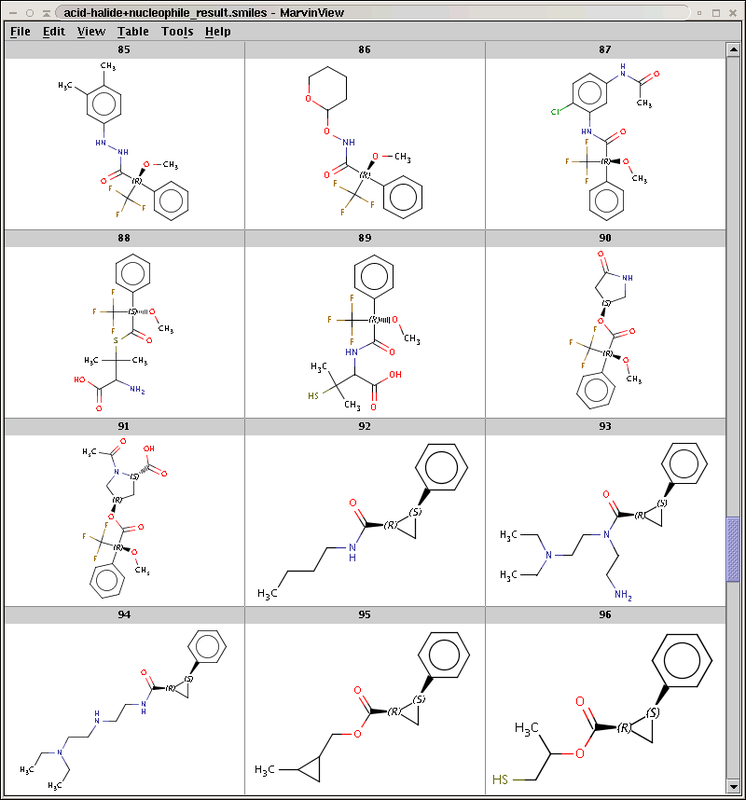 Observe, that the result file with duplicates acid-halide+nucleophile_result_dup.smiles contains 190 structures, while the result file without duplicates acid-halide+nucleophile_result.smiles contains only 130 structures. The result is stored in acid-halide+nucleophile_result_norules.smiles. Observe, that with the application of reaction rules we have 130 products in acid-halide+nucleophile_result.smiles, while ignoring reaction rules results in 180 products in acid-halide+nucleophile_result_norules.smiles. Compare the number of results: with the application of the rules we have 169 results, while without the rules we have 234 results. 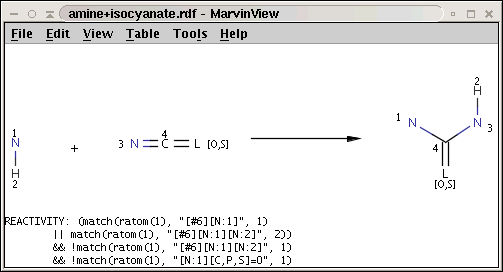 Note, that reactions with rules can be defined either in an RDF/MRV file with the rule specified in an RDF/MRV tag as shown above, or else in the reaction string as shown in the Selectivity rule examples below. These examples show how to specify a selectivity rule on reactants and/or products: reaction products are always accepted but sorted according to priority defined by reaction rules. 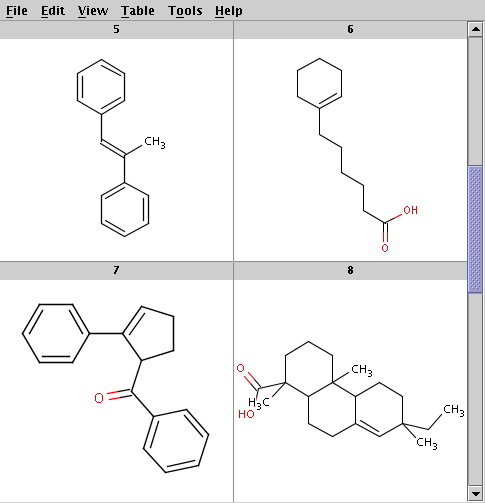 Rules are defined as chemical terms and evaluated by the Chemical Terms Evaluator. See the Reaction rules section of the Reactor Manual for the syntax of these rules. Note, that the Tolerance attribute sets the sensitivity of the selectivity maximum: product lists with selectivity value falling within tolerance of the maximum possible selectivity value are accepted, others rejected. The default tolerance is 0.0001, which means that real-valued selectivity values should be approximately equal to the maximum, while integral selectivity values are tested for equality with the maximum. If you want to accept all product lists and use the selectivity rule only for sorting the results then apply the -n t command line option in which case Reactor ignores the tolerance setting. 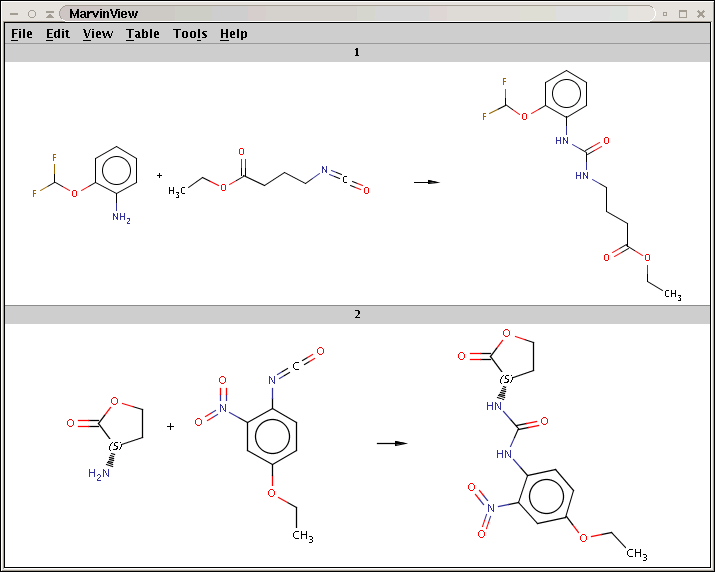 In RDF files, the selectivity rule can be set in the SELECTIVITY RDF tag, while the tolerance can be specified in a separate TOLERANCE RDF tag. 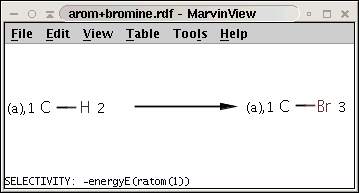 This example demonstrates the rule that bromine is attracted to the aromatic carbon atom having the lowest localization energy having an attached electrophile in the intermediate state. 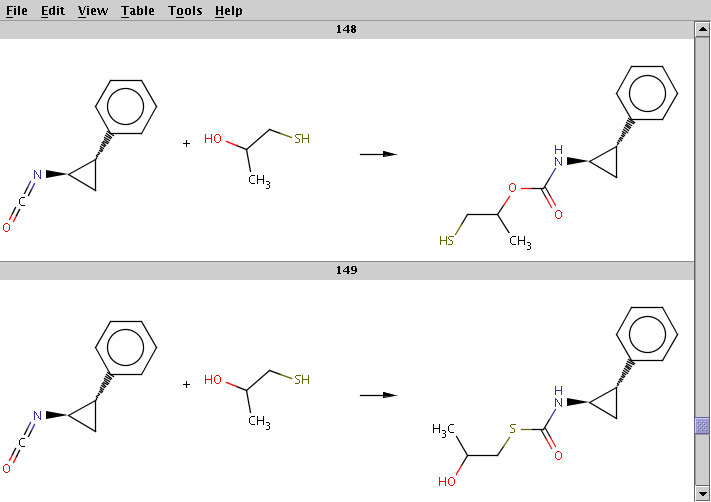 To run this example, license for the HuckelAnalysisPlugin is required (otherwise Reactor can calculate the energy values for the first reactant only). Note the minus sign in front of the rule: this means that we want to sort results in increasing order instead of decreasing order, that is, we prefer the aromatic carbon (attached to a hydrogen) with lowest localization energy having an attached electrophile in the intermediate state. Note, that this simple rule is applicable for benzene derivatives only. 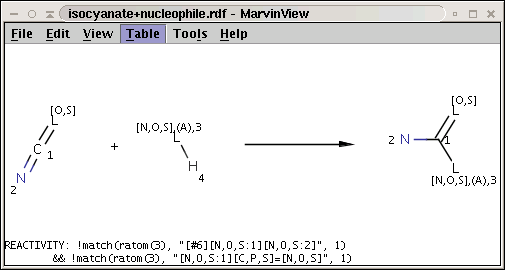 Standardization of reactants can be defined in the STANDARDIZATION RDF tag of the reaction molecule or after the -S command line option. The standardization specified using the command line option overrides the standardization given in the STANDARDIZATION RDF tag. For the description of standardization and its configuration, refer to the Standardizer Manual. This example demonstrates a selectivity rule with calculating the hydrogen count: when adding hydrogen chloride to an alkene, the carbon-carbon double bond is transformed to a single bond with the chloride being attached to the carbon with less hydrogens (Markovnikov rule). Note the minus sign in front of the rule: this means that we want to sort results in increasing order instead of decreasing order, that is, we prefer the carbon with least number of attached hydrogens. This time we used aromatize.xml to specify the Standardizer configuration. It only contains aromatization. Do you have a question? Would you like to learn more? Please browse among the related topics on our support forum or search the website. If you want to suggest modifications or improvements to our documentation email our support directly!